Golden Coast is the exclusive distributor of Triogen water treatment systems to the UK wet leisure industry. 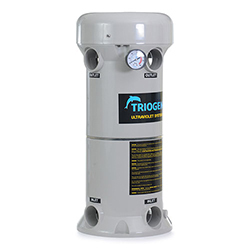 Easy to install and operate, Triogen systems deliver a combination of cost effective water treatment and improved water quality while providing complimentary protection against chlorine resistant organisms. 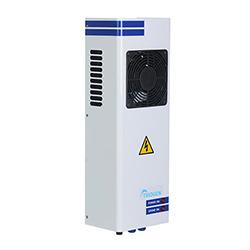 The cost-effective TR2 units which save on both capital and running costs while improving water quality feature automatic shutdown to conserve power in the absence of flow, as well as a robust, hardwearing, low-maintenance construction. Their reactor bodies are made from UV-inhibited polymeric materials, which are totally resistant to corrosion, and their UV lamps have a life of 18 months. 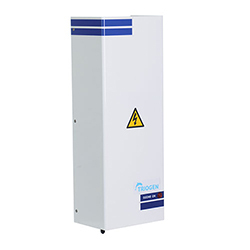 The UV250 and 500 systems provide ozone treatment for indoor residential pools and spas.